WHEN it comes to Raynaud’s and scleroderma, Mat Barry’s a bit unusual. Raynaud’s causes the arteries in the extremities to spasm, often when it’s cold, restricting blood flow which can be very painful. And it’s often linked to scleroderma in which the immune system attacks the connective tissue under the skin and around internal organs, causing thickening and scarring of the tissue. 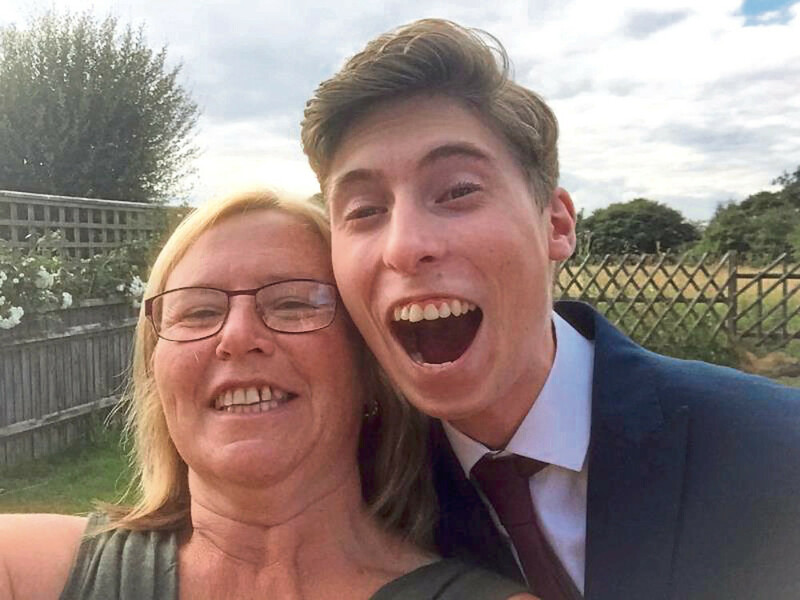 As 19-year-old Mat’s mum, Jo, explains: “When Mat was first diagnosed I looked on a website and it said one in 200,000 children will get scleroderma, and nine in 10 are girls, which makes him one in two million. “He was also young for it to present itself. He was about four and beginning school when we first thought he had Raynaud’s, more in the summer than the winter because obviously he’d wear gloves, and the end section of his finger would swell up and become inflamed and obviously he’d hit that off something and that was that. “Then when he was six he had an infection and was in hospital for five days, and from that things started happening like his glands would swell up or his joints would ache. “The first real sign was probably that long chips, you know like you get in McDonald’s, would get stuck in his throat. “Our rheumatologist said scleroderma was in his genetic make-up and the infection triggered it. “But when we went to the doctor and said we think he’s got Raynaud’s and it’s really bothering him, he just said, ‘If you go to the hospital, they’ll just put you on tablets for the rest of your life’ and that was it. 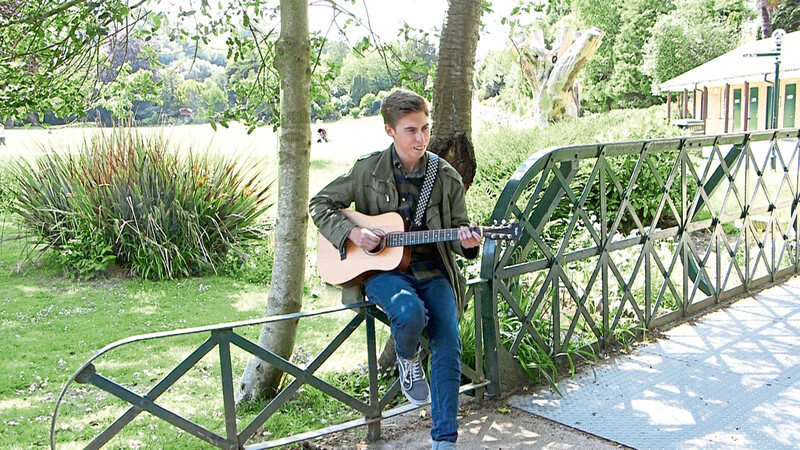 Mat’s main problem in his early teens was oesophageal strictures and food getting stuck. Jo, a secretary in her local village school near Hastings, says: “I’ve lost count of how many dilations he’s had. “Seeing your child being put to sleep for an operation is one of the worst things I’ve ever had to go through but when he came out of them we knew he had four weeks of eating whatever he wanted. “We knew he had a month when he could just eat and eat and eat, and then it would start to tighten again and you’d get to a point where he couldn’t take much more than liquids and we’d be back. “It was a regular cycle. He’d start to go downhill again and I’d phone the hospital to get booked again. “The scleroderma was affecting his oesophagus, and the lack of motility meant there was nothing to push the food down so got stuck. “At one point they decided to put a stent into his oesophagus to hold it open but scleroderma can affect how people feel pain and Mat’s in that category, and as soon as he had it in he said, ‘I can’t eat, it hurts.’ Within two months he lost two kilos and they took it out. Mat also has a needle phobia, which Jo explains: “That came from when he had the infection and they just kept putting the cannula back in. Mat and his brother have ocular albinism and are registered blind, and though that isn’t related to the scleroderma, his chronic fatigue certainly is. “It’s a case of if he goes out for the day, for the next two days he won’t want to do anything. He’s just wiped out,” explains Jo. “For the last couple of years of school he just did four days because we knew he could never do five. “But he passed his six GCSEs which meant he could do the art and music courses he wanted to at college and I was so proud I cried! “He’s very good at playing the guitar, that’s what he went to college for, and that’s what he’d like to do but that involves long hours and travelling – obviously he can’t drive and we live in a tiny village. “He plays in a local band and by the end of a gig he’s wiped out, and the other problem is if he has ulcers on his fingers that causes him grief but he loves doing it. For more information, visit Scleroderma and Raynaud’s UK at www.sruk.co.uk or phone their helpline on 0800 311 2756.